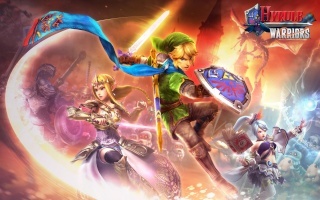 Site Update: New Theme, Background, And Emoticons Celebrating The Release of Hyrule Warriors! It's been a longtime coming, but the wait is finally over as WiiWareWave has been updated to version 4.0.1 and a new Hyrule Warriors background has been added and will stay until near the end of October! We've also added some seafoam and other green colors to our website theme to add a touch of Link to WiiWareWave. And lastly we have added 6 Link themed emoticons to post in our forums and blogs! What do you think about this new site update? Let us know what you like about the update and what features and changes you'd like to see us add in the future in our comments below! Re: Site Update: New Theme, Background, And Emoticons Celebrating The Release of Hyrule Warriors! The update is amazing I love it! Legend of Zelda-themed emoticons?! YES! This is something I've been hoping would happen for a long time! I just saw a Hyrule Warriors adsense advertisement! The new colours look nice. I like the new look the webmaster did an awesome job! The site looks sick. Good job to whoever worked on it. @KingreX32 wrote: The site looks sick. Good job to whoever worked on it.